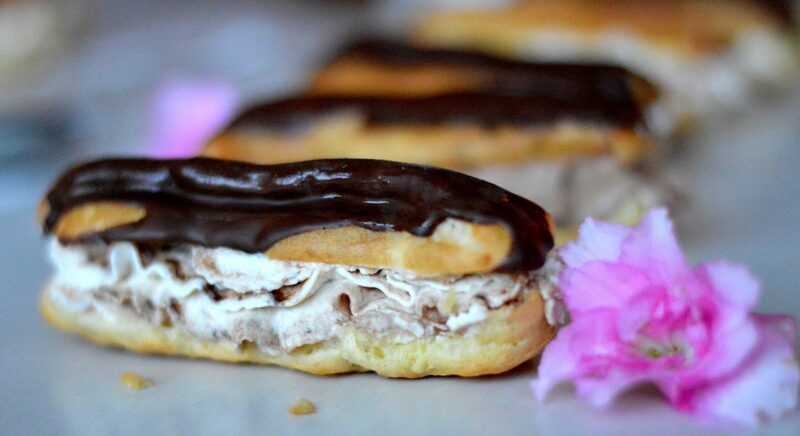 Before I am sharing my recipe for eclairs with you, there ist an update: Finally I am done with all of my exams! Weeks of studying will now switch into free days full of traveling, baking and quality time with family and friends. As I am planning some exciting trips (and recipes!). I thought about my last trip in December, where I have been to Paris, for a couple of days. It wasn’t my first time there, therefore we didn’t visit Disneyland or Versaille again. Instead we went to my favourite places such as the Musée d’Orsay, Musée Rodin and of course the all-time classic: Musée du Louvre (I have to admit that I am a museum junkie!). I like the atmosphere and flair of the city so much. Sitting in front of the Eiffel Tower with some wine, baguette and cheese (I am in love with french cheese!) or walking besides the Seine with a big scoop of ice cream from Berthillon, located on Île Saint-Louis at sunset. And of course you have lots of possibilites to go shopping, in addition to the big department stores such as Galeries Lafayette and Printemps, there are many tiny shops full of unique and handmade pieces. Of course I couldn’t resist stopping by Café Ladurée. I had to buy my favourite macarons, pistachio! But another pastry catched my eye: Eclairs. Before then I never really tried making eclairs by myself. 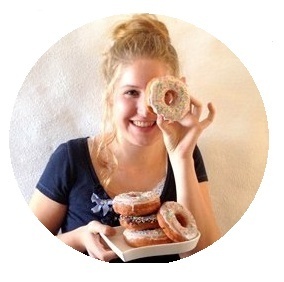 But when I thought about a new recipe for the blog I wanted to give them a new kick. As the name of my blog reveals I am in love with french pastry. 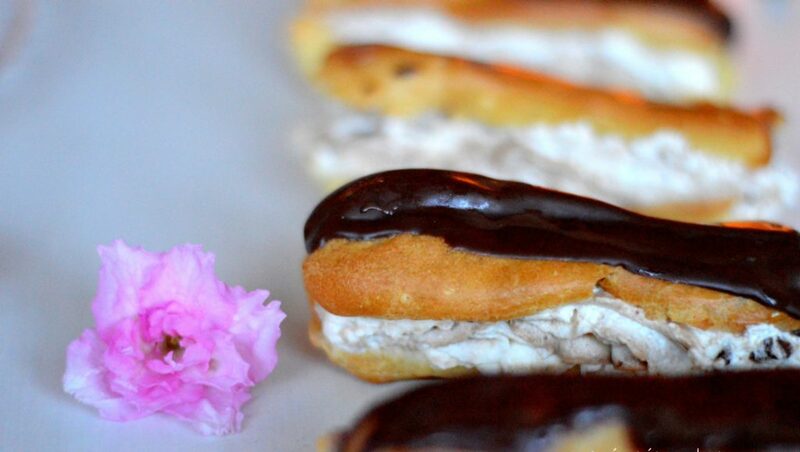 I already showed you my favourite recipe for macarons and crossaints and now I will show you my recipe for Caramel eclairs with a Nutella mascarpone swirl! 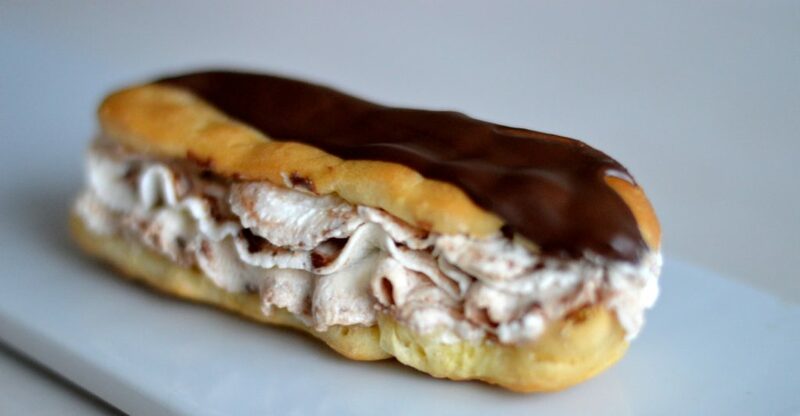 Eclairs are glazed and filled pastry made of choux pastry. There are approximately 10 cm long and the filling can be made of strawberry, raspberry, coffee, chocolate, vanilla cream, cream or pudding. It is often coated with chocolate, caramel, fondant or icing. I decided to make a mascapone cream with a nutella (nougat) swirl and a caramel and chocolate glazing! In a heavy and wide saucepan, stir together the water, butter and salt and let it boil while stiring the whole time. Remove from heat and add the sifted flour with a wooden spoon until no flour can be seen anymore and it turns into a white clump. Now add add the eggs one after another until fully incorporated and the mixture is a clump again. Preheat oven to 220°C and prepare baking sheets. Transfer the dough to a pastry bag. Now pipe dough into 8-10 cm lengths (as you prefer). Bake for 20 minutes (depends on your oven!). Then remove from oven and tranfer them to a wire rack. Now, when they are still hot, cut into two halves. Prepare the filling: In a bowl beat heavy cream until nearly stiff. In another bowl mix macarpone, yogurt, sugar and triple sec, in the end add the heavy cream. 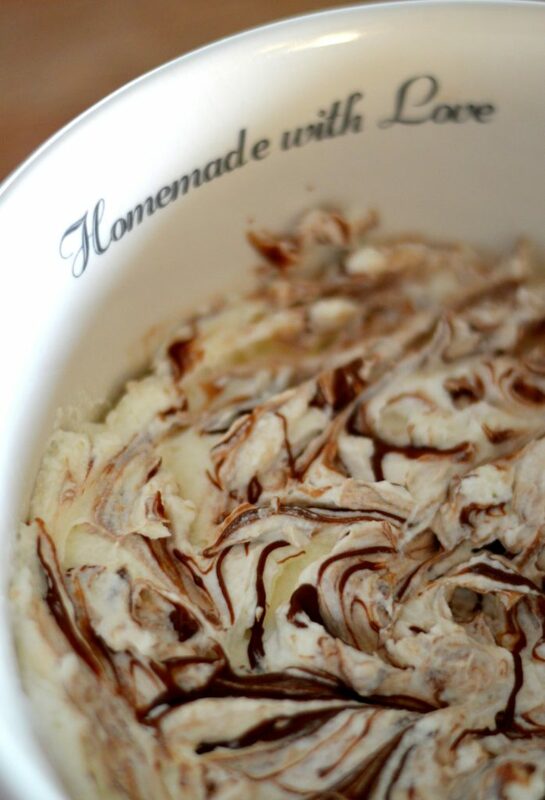 Melt the nougat/Nutella and add the swirl with a fork (like you can see on the picture above). For the decoration melt chocolate in a saucepan and in another saucepan melt caramel candy and heavy cream. 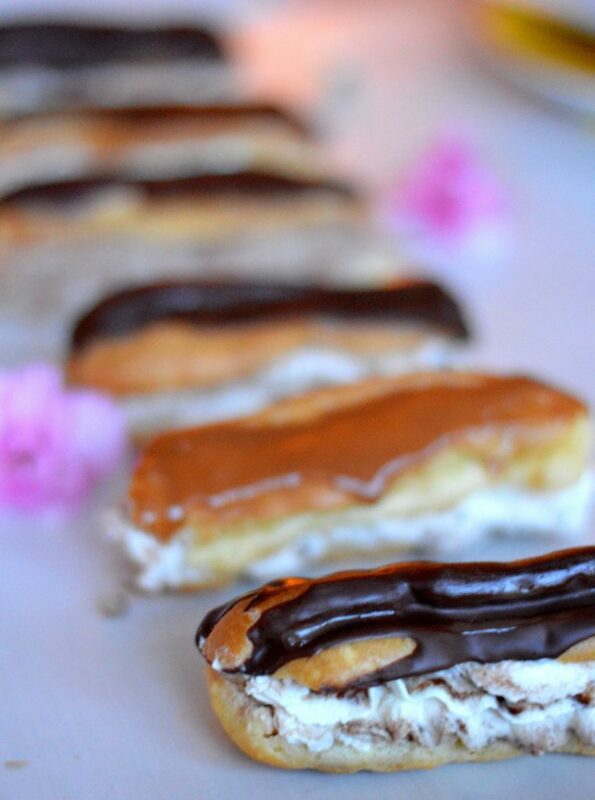 Take the tops of the eclairs and decorate either with chocolate or caramel or both. Transfer the filling to a pastry bag. Pipe on the bottoms of the eclaires and put the tops onto it.